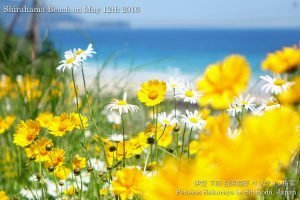 I had good walking and excise on the seaside road looking over the blue sea under the sun this afternoon. 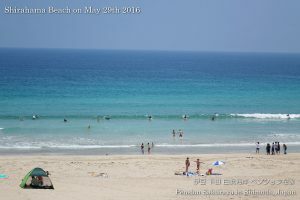 I think the sea water is still a little cold, but there were a lot of foreigners who were swimming in the water. 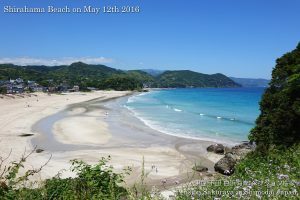 This entry was posted in beach on 2016年5月29日 by izusakuraya. 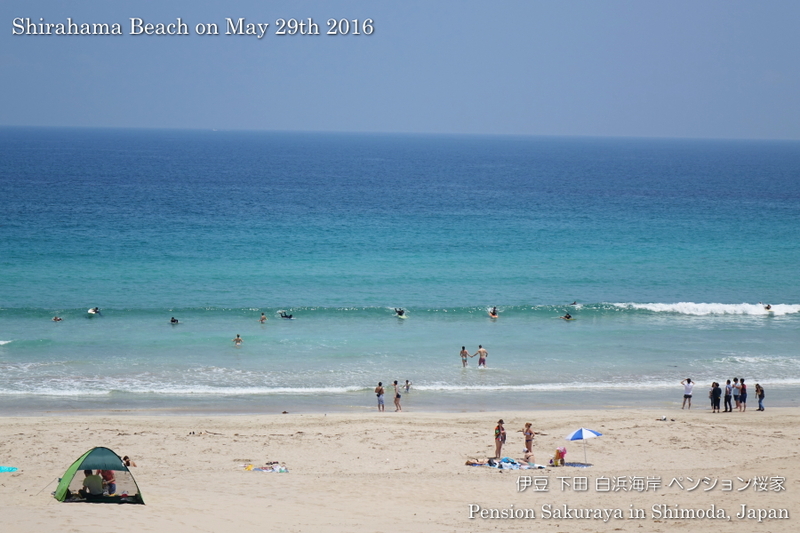 2016/05/28 Thank you for staying! 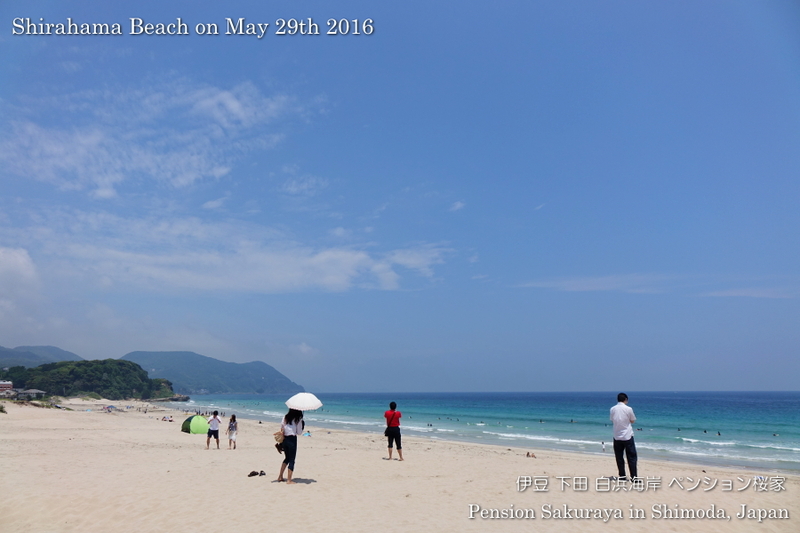 They are from Singapore and have come to Japan 3 or 4 times, but it was the 1st time to visit Izu peninsula. They came to Odawara city from Tokyo by train and came to Shimoda by rental car from Odawara. 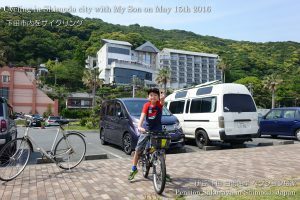 After Shimoda they went to Toi and Hakone. We are looking forward to meeting you again in the future. 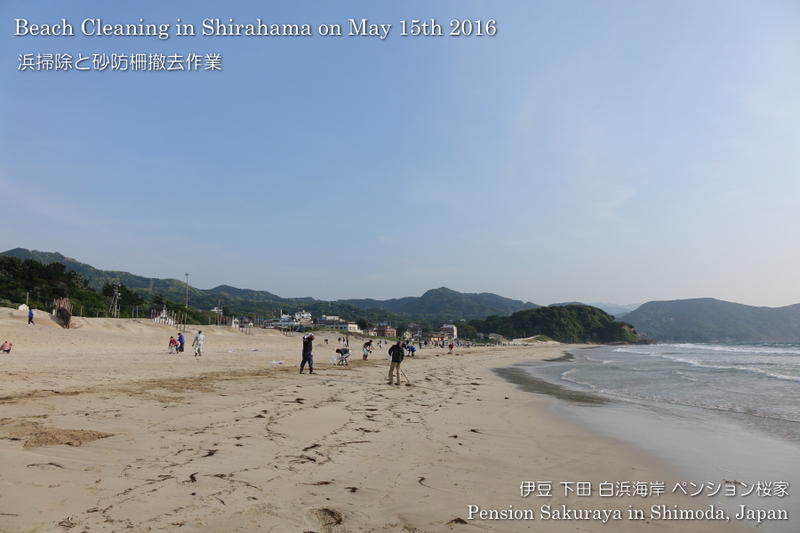 This entry was posted in Customers, Pension Sakuraya on 2016年5月28日 by izusakuraya. I took some pictures on the beach when I was walking on the seaside road. 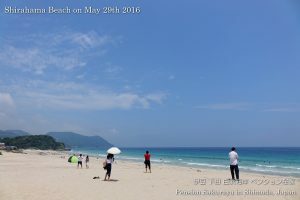 In these 4 days the highest temperature in Hokkaido is 30 degrees Celsius (86 degrees Fahrenheit) or over we are still in May though. 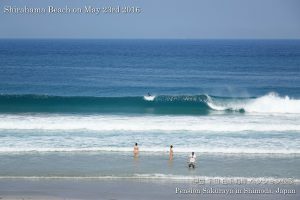 It’s amazing record in Hokkaido. 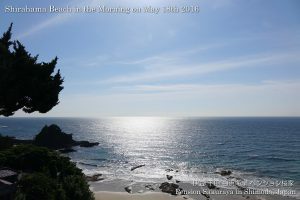 This entry was posted in beach on 2016年5月23日 by izusakuraya. 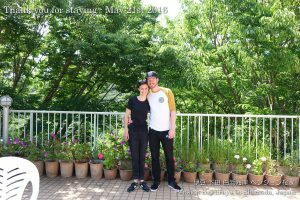 2016/05/22 Thank you for staying! 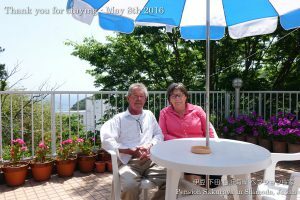 They came from Germany and stayed at Pension Sakuraya for the 1st time. 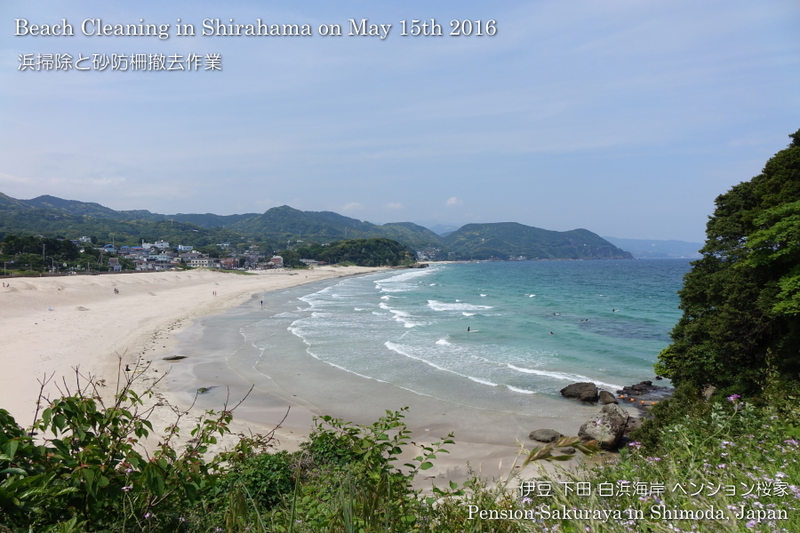 After staying for 5 days in Tokyo they came to Shimoda. 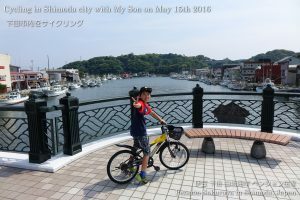 During their stay the Black Ship Festival was taking place in Shimoda city, so they went to Shimoda to see the fireworks display on the 1st day. And they spent almost a half of the 2nd day on the beach and went to Shimoda by walking through the mountains from Sakuraya. This entry was posted in Customers, Pension Sakuraya on 2016年5月22日 by izusakuraya. 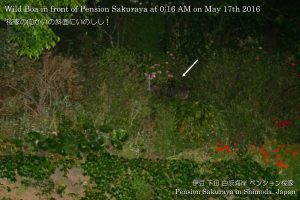 At midnight 2 days ago, when I was working in my office I heard that something had been walking in the bush just in front of Pension Sakuraya. So I went out from the entrance with stealthy steps, and took a picture of it. 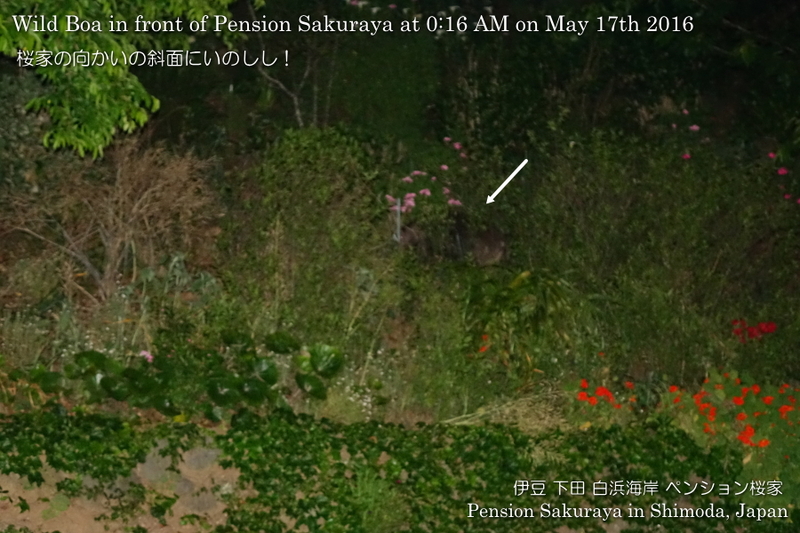 It was a wild boar as I guessed! By the way, when my son went to the school this morning I left our home with him and took a walk alone on the seaside road after that. This entry was posted in beach, nature, Pension Sakuraya, Sea on 2016年5月18日 by izusakuraya. My son and I went to Shimoda city for cycling this afternoon. 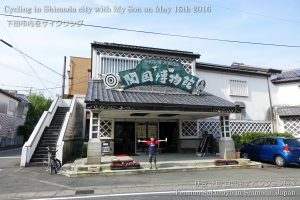 We parked our car at the free parking lot near harbor and took a cycling on the seaside road, and went to the liquir shop opened in 1889 and Shimoda history museum. 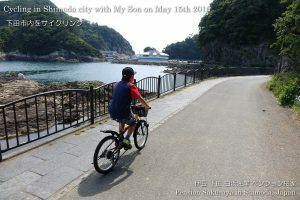 We had very strong north wind in Shirahama, but there was no wind in Shimoda city, so it was very good condition for cycling. 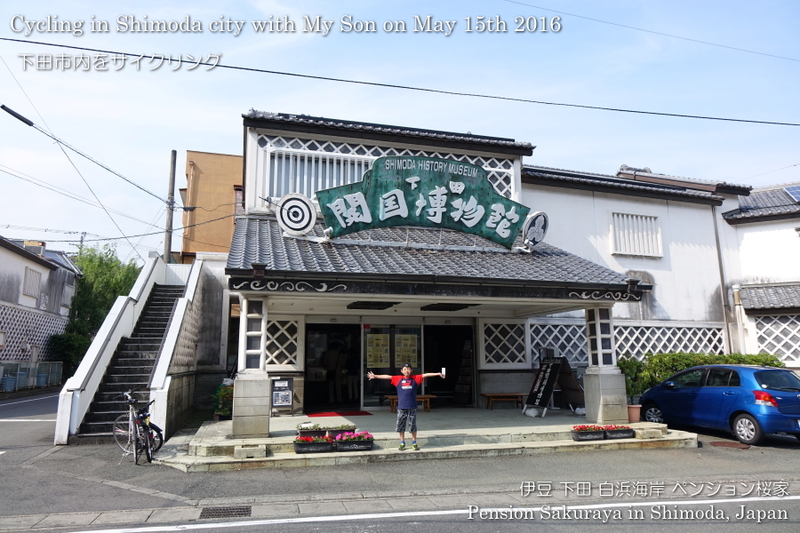 My son was excited very much today. 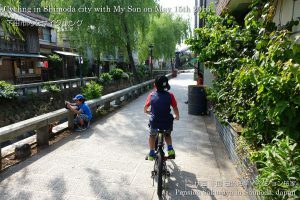 You can see the other pictures on our Facebook album. 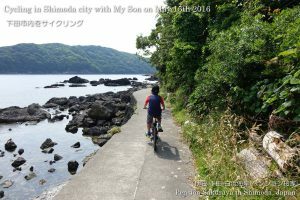 This entry was posted in Family, nature, Sea, Travel on 2016年5月15日 by izusakuraya. The local community had a beach cleaning from 6:30 this morning. 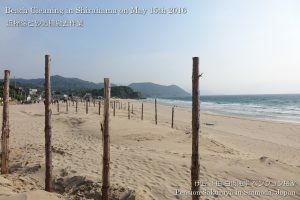 And after that, we removed the fences that we set up in last October to protect the beach from strong north wind. 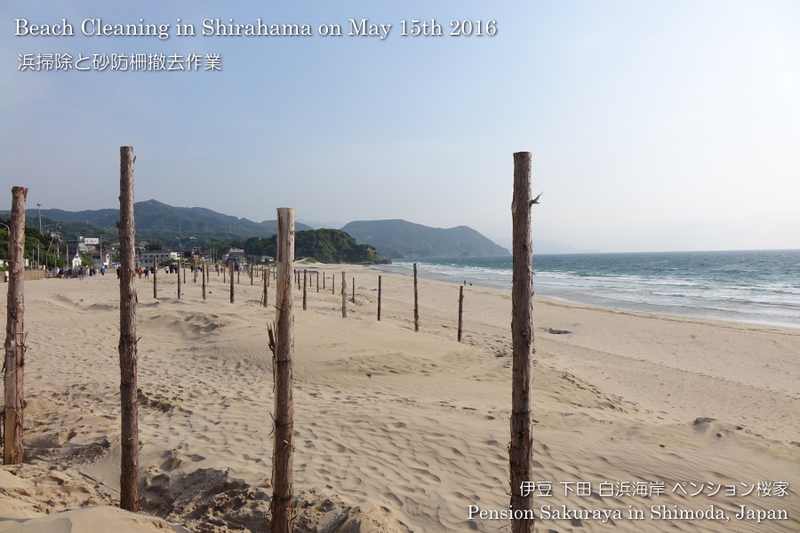 It was really hard to do it in the strong north wind. 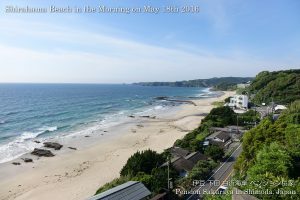 This entry was posted in beach on 2016年5月15日 by izusakuraya. 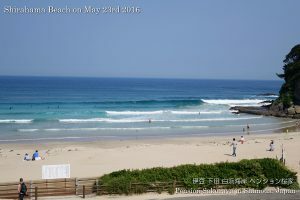 Yesterday we had rain all day long, but the blue sky came back to Shirahama today. This entry was posted in beach, Flower, nature on 2016年5月12日 by izusakuraya. 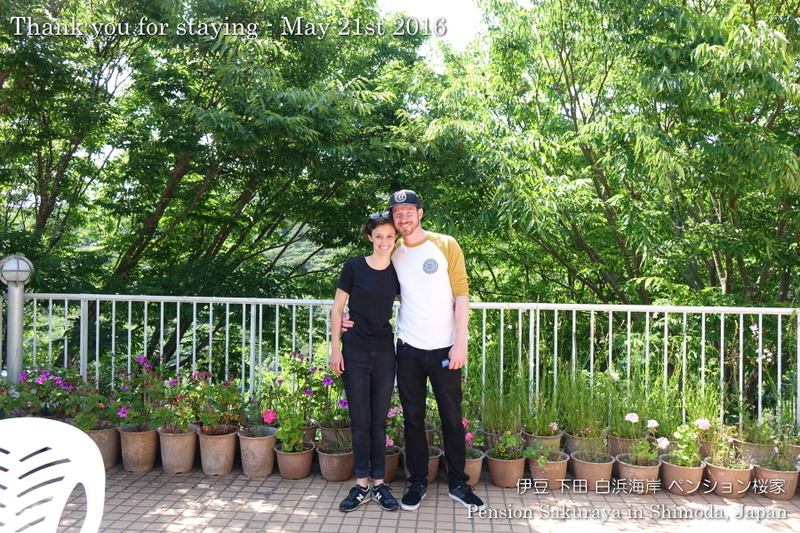 2016/05/08 Thank you for staying! 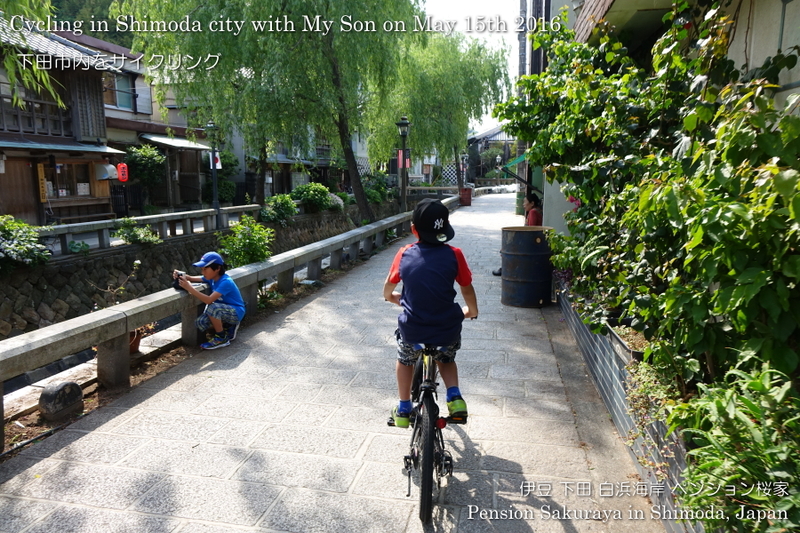 They came from Kamakura city in Kanagawa prefecture, and it was the second time for them to visit Shimoda. They arrived very early in the morning in Shimoda and spent all day on the beach before check in. After check out they drove on the seaside road on the west side of Izu peninsula. We are really looking forward to meeting you and your family again! 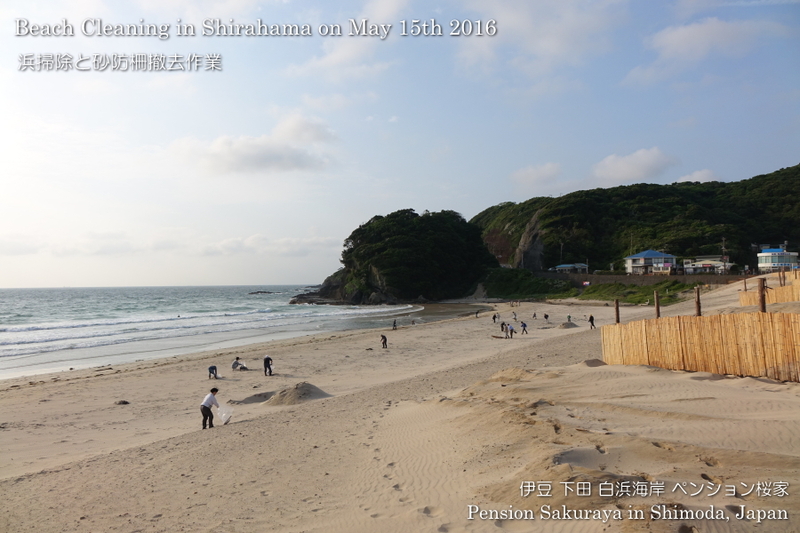 This entry was posted in Customers, Pension Sakuraya on 2016年5月8日 by izusakuraya.